Did you know that nationwide, nearly 3.8 million people are employed at fast food restaurants? As of 2018, the average employee turnover rate has reached 150%. Which means a restaurant that employs 20 people can expect to see 30 different workers in the span of just a year. However, this statistic doesn’t include passionate and dedicated employees like Cailin. 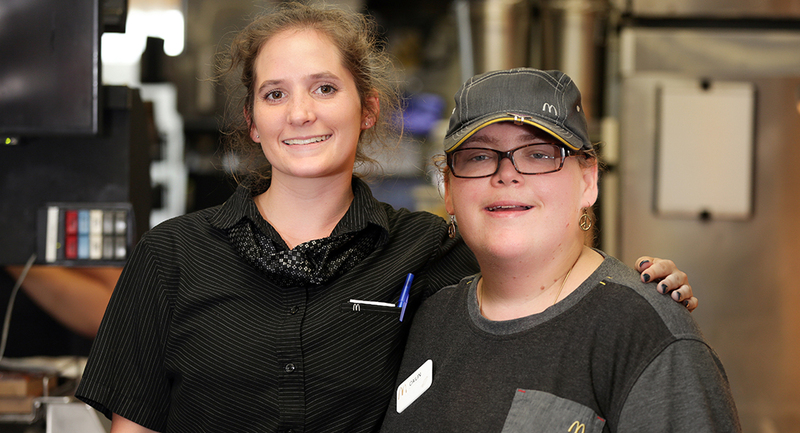 She’s been a McDonald’s employee for over 14 years and has enjoyed every minute of it! 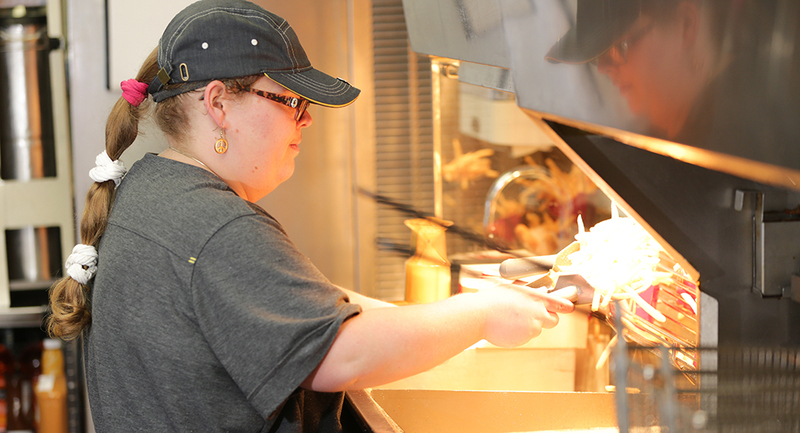 Her main responsibility is to tend to the fry station. On any given day she’s fulfilling several hundred orders with speed and accuracy. “I work hard for the customer. I’m fast for the customer,” Cailin proudly stated. “She’s so quick and very dedicated,” shared Rhonda Mallard, Cailin’s Summit DD Service and Support Administrator (SSA). 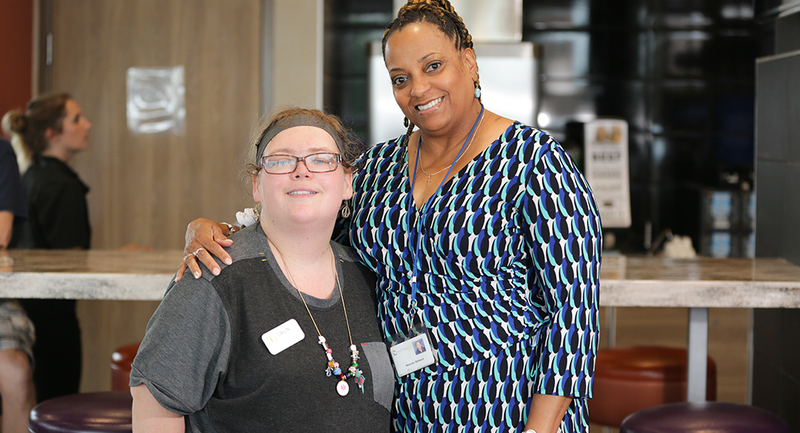 Rhonda has been her SSA for five years and connects Cailin to the services she needs, including transportation and follow-along support, for example. “She loves it at McDonald’s and everyone loves her too,” continued Rhonda. 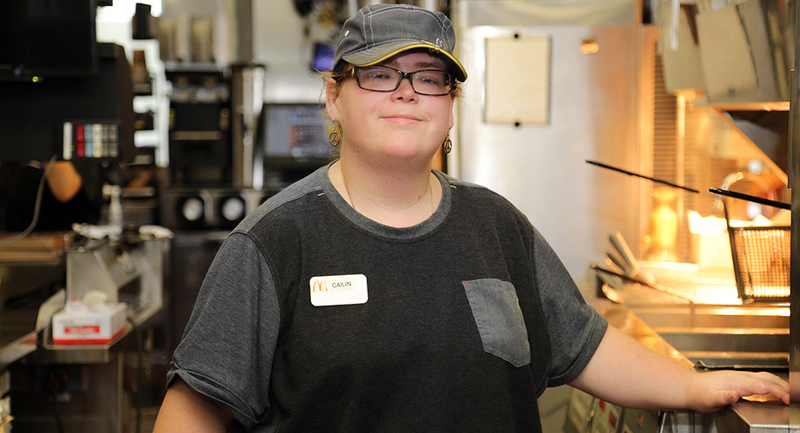 When asked what she spends her paycheck on, Cailin responded, “On art supplies and gifts for my family!” Cailin is currently learning how to clean the dining area to further expand her contributions as a proud McDonald’s employee. In recent studies, people with disabilities in the workplace have shown up to a 48% lower turnover rate than those without disabilities. Let’s hope that more businesses begin to realize the benefits of becoming fully inclusive workplaces as we head into the future! Check out more stories about successful employment in our community!